This page explains the eviction process for private tenants in the United Kingdom. The information covers private renting for tenants and evictions procedures. YOUR RIGHTS: Find out exactly what procedures landlords must follow when evicting tenants. There is further advice and information about eviction notices and going to court. What are your rights on harassment by your landlord and illegal evictions of private tenants? 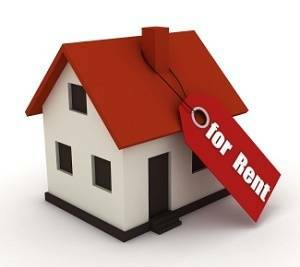 There are strict procedures and rules landlords must follow for private renting. The rules also apply if they want you to get out of their property. But, the exact private renting eviction process depends on the type of tenancy agreement you have and the written terms in it. What happens if they fail to follow the rules landlords must abide by? In some cases your landlord may be guilty of illegal eviction or harassment if they break the UK rules. What does periodic tenancy mean? Periodic tenancies are the same as periodic assured shorthold tenancies or ASTs. As a rule AST do not have a fixed end date so they run on a week-by-week or on a month-by-month basis. Landlords must follow rules to evict tenants who have an assured shorthold tenancy. In most cases your landlord must give you 'notice to quit' if you have one of these periodic tenancies. They must also abide by certain eviction procedures for private tenants. Follow UK Rules for 2019 Updates! Note: The exact process depends on what type of tenancy agreement you have and the terms of the contract. What happens if you do not leave the property at the end of the notice period? In that case your landlord must apply to the court and get a possession order. A possession order grants a landlord the right to evict a private tenant. It starts the process for a landlord to retake possession of their property. What happens if the court grants your landlord a possession order but you still fail to leave the property? If that happens a landlord should apply for a warrant for possession. Having a warrant for possession means bailiffs can evict private tenants from a property. Note: A possession order does not take effect until you have lived in the property for at least 6 months. If you have a fixed-term tenancy it will run for a set amount of time. Landlords must give proper notice for private tenants who are in fixed-term tenancies. What happens if you refuse to leave the property at the end of the notice period? In this case the rules would depend on whether the fixed term has ended in full or not. Failing to pay the rent. Having a 'break clause' in the contract. Note: Break clauses allow landlords to take back their property before a fixed term tenancy agreement ends. Landlords do not need reasons to evict private tenants at the end of fixed term tenancies. Your landlord can apply to the court and get a possession order. That said, they still must provide you with correct notice to leave the property. What happens if the court gives your landlord a possession order and you still do not leave the property? If that happens a landlord should apply for a warrant for possession. Having a warrant for possession means bailiffs can evict private tenants from a property. There are special rules for excluded tenancy or licence agreements. You may have this type of tenancy if you live with your landlord. In this case your landlord does not need to go to court to evict you from the property. UK eviction rules mean landlords only needs to provide 'reasonable notice' to quit. The landlord's notice to quit does not need to be given in writing for these types of tenancies. How long you have lived in the property. How often you pay rent to the landlord. How well you get on with your landlord. How soon the landlord wants another person to move in. Landlords have the right to change the locks on the room in this situation. They can do that even if the tenant's belongings are still inside the room. But, landlords must return all belongings back to the rightful owner. Evicted private tenants should contact their local council for further advice. This is particularly appropriate if you think you did not get enough warning to leave. Your local council can take action against your landlord if you got evicted illegally. You may have an assured or a regulated tenancy if your tenancy started before the 27th of February 1997. If so, your landlord must follow different rules to evict you. In these cases private tenants also have increased protection from eviction. Shelter believes everyone should have a home. Over a million people contact them each year for help and support about eviction of excluded occupiers. You can get more advice from Shelter in England, Wales, Scotland and Northern Ireland. Housing and Local Services: Information on local government housing rules and regional services. Housing Association Eviction: The eviction procedures of council or housing association tenants. Landlord Harassment: Advice for dealing with harassment and illegal evictions by private landlords. Court Hearing for Tenant Eviction: How does a court possession hearing proceed in England? Accelerated Possession Procedure: Find out what it is and how to get an accelerated possession order. Emergency Council Housing: How to get emergency housing if you are homeless in the United Kingdom. House Repossession Process: A guide explaining the legal process of house repossessions in the UK. Squatting and the Law: What is squatters' rights and how to remove squatters from your property.